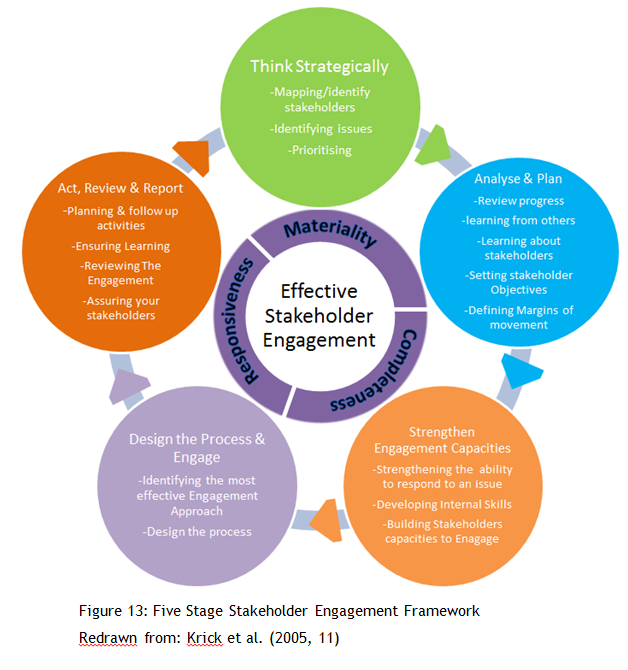 Stakeholder engagement is the process used by an organisation to engage relevant stakeholders for a purpose to achieve accepted outcomes (AccountAbility, 2008). 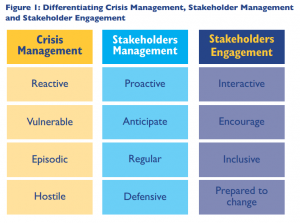 Stakeholder engagement is now considered to be central to business sustainability. It is a critical part of every reporting framework relating to corporate social responsibility and/or environmental and social governance. This is because sustainability is very much about being transparent and accountable to your internal and external stakeholders. In addition, engagement is critical for identifying the material sustainability issues most relevant to any business sustainability journey and fostering innovation. Engagement can help sustainable businesses to balance environmental, social and financial issues – ensuring good governance, rigorous decision-making, and useful reporting/disclosure, in order to bring about meaningful change, away from a business-as-usual approach.